The DMM-16RP-AT is a PC/104+ DAQ module that features top performance and flexibility for a mid-range price. It has 16 single-ended / 8 differential analog voltage inputs with both unipolar and bipolar input ranges, programmable gain, and a maximum sampling rate of 100KHz. The 4 D/A channels and 16 digital I/O lines provide additional real-world control and monitoring capability. The full -40°C to +85°C industrial temperature operation ensures reliable and accurate performance in any embedded system application. 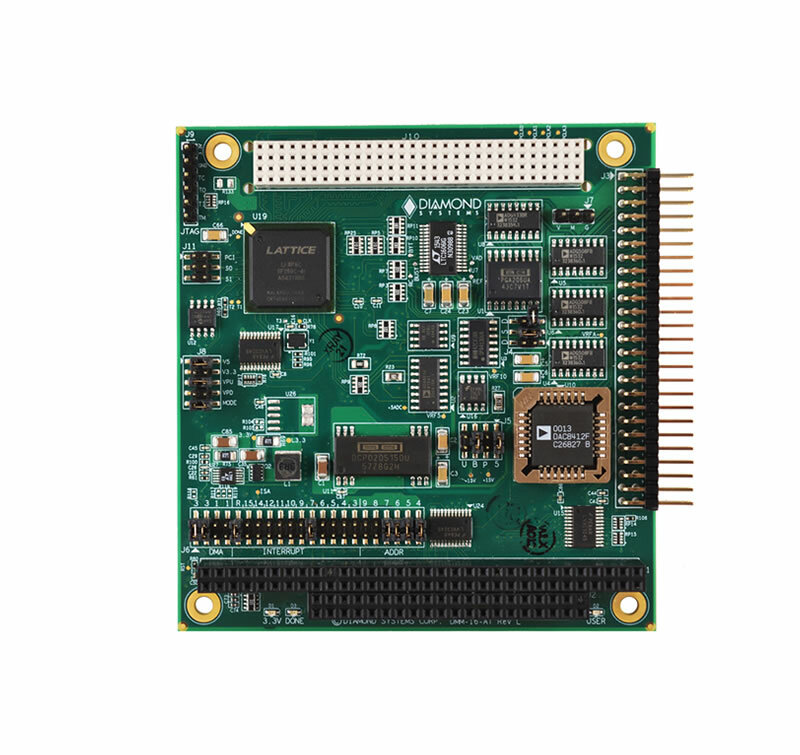 A fully-featured software library with example programs and a graphical user interface completes the solution to make the DMM-16RP-AT a solid choice for PC/104 embedded systems requiring analog I/O. 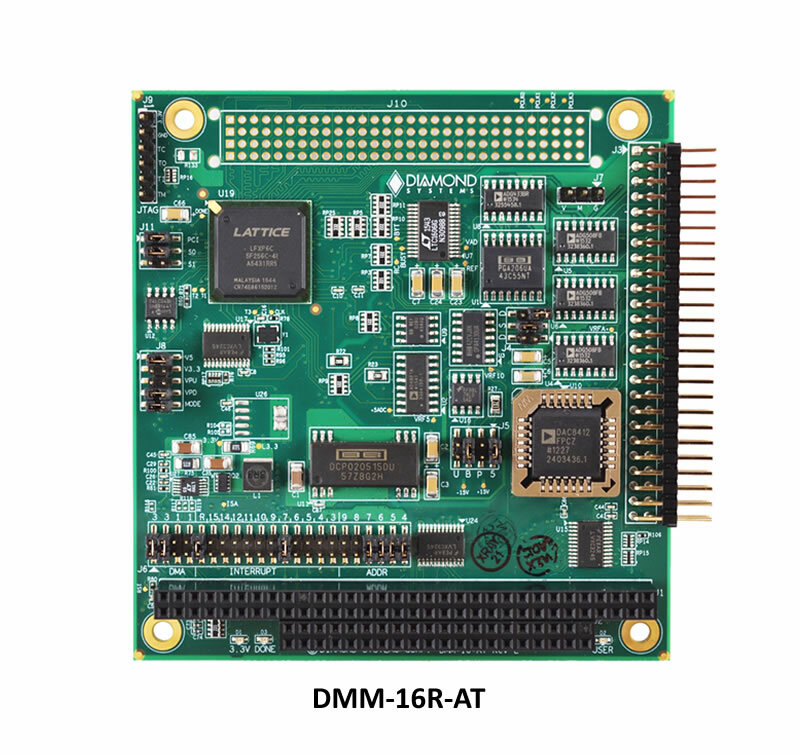 DMM-16RP-AT is also available without the PCI-104 connector i.e. DMM16R-AT. The DMM-16R-AT is a drop-in replacement for the older DMM-16-AT.